The series explores adolescent issues such as growing pains, finding your place in the world and family embarrassment. The Family Law was one of two new scripted Australian mini-series highlighted at SBS's 2016 upfronts. Another new Australian comedy that has received a less positive social reaction is Channel Nine's Here Come the Habibs, which airs in February. A petition urging Channel Nine to pull the show has received 334 signatories in four days. 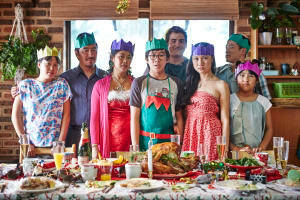 New SBS comedy The Family Law attracted 1.1 million Facebook views (greater than three seconds) with a reach of more than 2 million people over the weekend. The first episode of the six-part series debuted exclusively on the social media platform to generate fanfare ahead of its TV launch on Thursday. SBS says the show attracted high audience engagement with 9.6k likes, 3k shares and 1.6k comments. 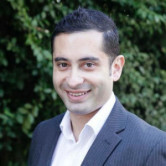 The interest has pleased The Family Law author Benjamin Law.